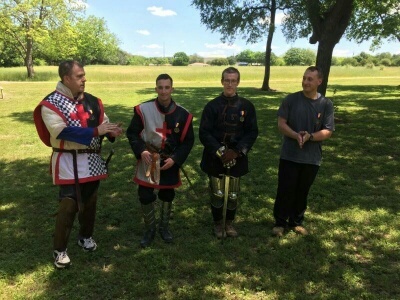 New Ulster Steel Fighting hosted House Wars III Combat Tournament this weekend in Woodway, TX in White Hall Park. 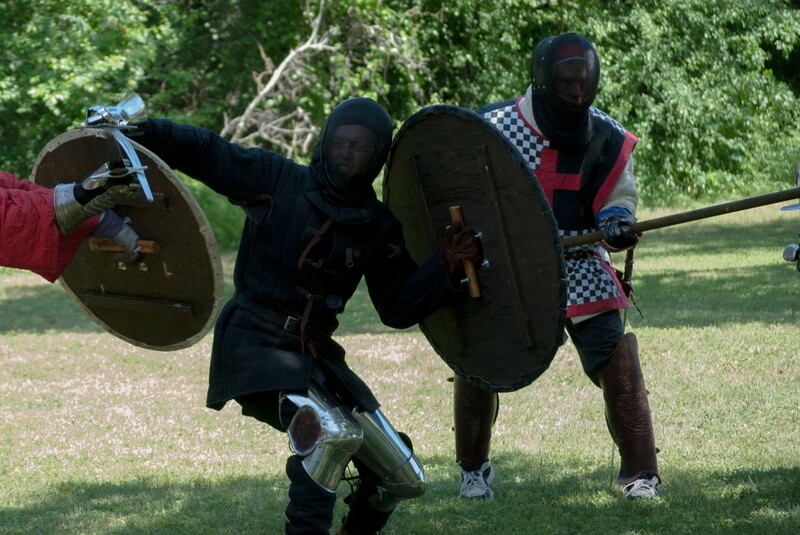 Competitors fought in the single combat event with arming sword and round shield (and a back up weapon such as a dagger or a hand ax), the Teams Melee event, and in the Last Warrior Standing Event. Only first place is recognized in the House Wars series. In the Single Combat event, fighters endured a series of round robin rounds of fighting before advancing on to the Single Elimination round where combatants fought to achieve the honor of first place. From there the 4-man melee teams engaged in a competition of team work and coordination in some heated Medieval melee. The winning team was to be victorious by achieving the greatest number of wins in five fights. Each team consisted of a captain and three other fighter. Most fighters carried arming sword and round shields (and backup weapons) with one member on each team armed with a pole arm. Finally the tournament saw action in an old favorite, the Last Warrior Standing event. All fighters went at each other, every one for themselves. A hit could come from anywhere at anytime to take you out of the event. There was a need for awareness of the “battlefield” more than ever as there were many fighters, but no friends on the field. The last competitor takes the 1st place medal. When as was done, the event was closed in the same fashion in which it began, with prayer to the Lord Jesus Christ. We had a super time, though we will be nursing our bruises for a few days. It was well worth it! The Single Combat Champion was Armsman II Tyler Bryant. The Melee Team Champions were Captain, Br. Jeff Webb, Armsman II Tyler Bryant, Trainee III Benjamin Lindley, and Trainee I Alex Fontane. 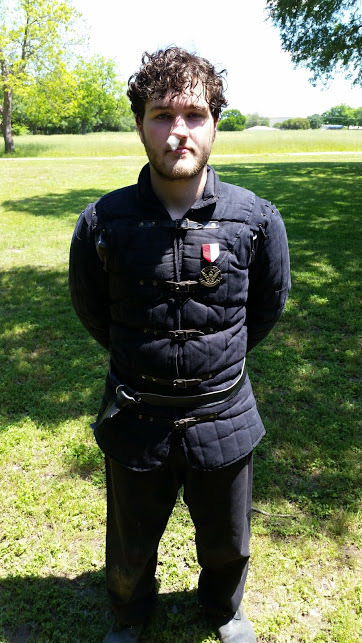 The Last Warrior Standing Champion was Scholar John Dunwoody. Congratulations to the tournament champions, and to all who competed in this year’s House War. If you are in or near the Waco, TX area and interested in the most rewarding martial arts experience of your life, contact us here, on twitter ( @steelfighter ) or on facebook.